In the genre of paranormal, books about Atlantis, conspiracies, and people with supernatural powers are staples. It's often difficult to find a unique story, and because of that, gems end up standing out quite a bit. This is one of those stories, and I'm glad I had the opportunity to read it! Even from the first chapter, this story felt different and fresh. From the writing style to the characters' personalities, this book offered a new story, and actually left me guessing what would happen next. Each character was unique and interesting as well. I loved Alison's uniqueness and strength, which I loved watching grow from quiet to a raging fire. Mixed with Ian's incredible character, they were an amazing match. To add another dynamite personality, the sweet and lovable Brandy, who was probably one of my favorite parts of the story. Overall, this is definitely a book I'd recommend to anyone who's a fan of good writing, paranormal adventure, fantasy and romance. 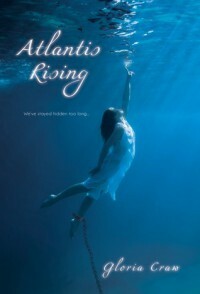 *I was given an eCopy of this book, from the author via YA Bound Book Tours, to read in exchange for an honest review.